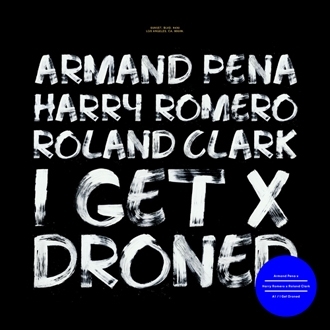 Following the release of Sick Individuals’ latest EP for the label, Steve Angello’s X imprint returns with ‘I Get Droned’, the new release from Harry Romero, Armand Pena and Roland Clark. The track is set for release on 2nd September and continues in X’s mission to explore fresh musical avenues, bringing a classic house flavour with an updated contemporary edge. The collaboration sees a collaboration of the legendary trio of Harry Romero, Armand Pena and Roland Clark, who between them have an immeasurable list of house music credentials that reaches back through two decades. Their distinctive sounds and techniques combine to craft this timeless house track. The production is a perfect combination of deep, rolling house beats, fluid percussive layers and a hypnotic synth loop which keeps the track driving, tied together by the repeated vocal of ‘I get deep, I get deep, I get deep, but I love it when I get droned’. Founded by Steve Angello on the tenth anniversary of Size records, X is quickly asserting itself as a fresh force in house music with a rapidly expanding catalogue. Having all cemented themselves as stalwarts of the house music world, the three artists featured on ‘I Get Droned’ continue this trend in fine style with a deep dance floor cut.